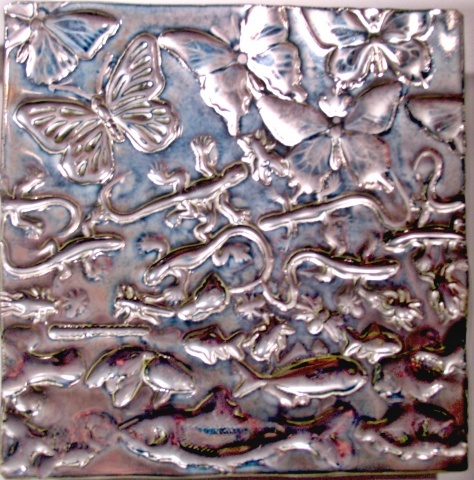 Original hand cast tiles with bas-relief surface. Ships with wall cleat and wood frame backer to project tile 1" off wall. Can also be directly installed on wall with tile adhesive.